This Spring/Summer I am all about shorties! 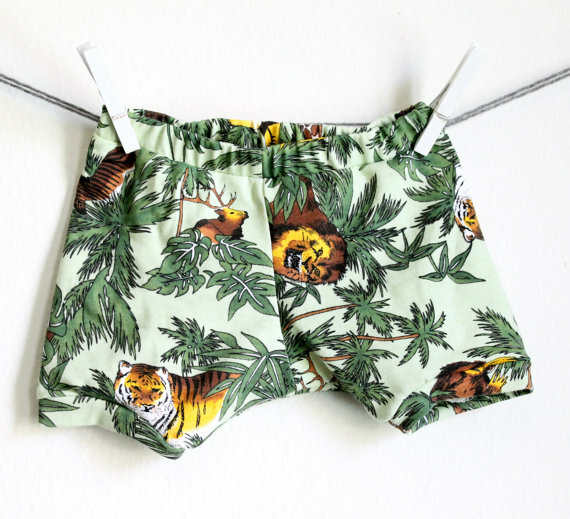 Shorts, bloomers, shorties…they go by many names and call them what ever you want, they are AMAZING! I found this pair during my daily Etsy search for fun items, we all do it, it is totally okay, and fell in so much love. Plus side, they are soo affordable I about peed when I saw the price. Head to Lil Sugarlamb to snag your pair. So, I instantly bought and here we are. My first thought, “time to put together an outfit.” Of course I went to one of the best shops around, Slyfox Threads. Really, they have so many tees that I would pair with them, but their “Wild” tee seemed fitting. Pair it with their “Blackout” camper hat, pulling the neutral blacks to bring all the pieces together, makes it the perfect Summer outfit. Of course I had to use Saltwater Sandals. They are my new favorite sandals for the boys! Super easy to put on and cute for boys and girls. A cute little backpack to carry all their toys they have to bring with and bam, effortlessly cool Spring/Summer look.